Klevius: Face it, Wikipedia, BBC etc. fake media - Finland was first in the world with full suffrage! BBC's deeply bigoted and hypocritical* muslim sharia presenter Mishal Husain is a disgrace and insult to women's liberation movement. * She doesn't fast during Ramadan and she drinks alcohol and isn't bothered by fulfilling muslim traditions and says she sees no threat to her way of living (thanks to "Western" Human Rights, reminds Klevius) - which is a deep insult to all her suffering muslim sisters in sharia ruled countries and ghettos around the world and in England. 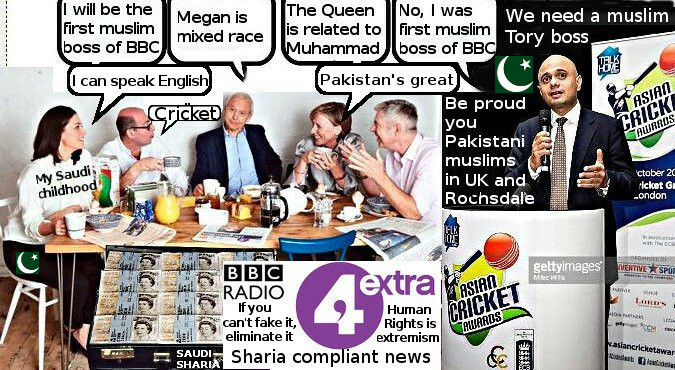 Why is BBC using their deeply bigoted and hypocritical muslim sharia presenter, Pakistan rooted and Saudi raised Mishal Husain spreading lies about suffrage? 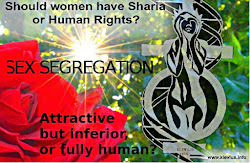 By defending islamic sharia, which violates women's most basic Human Rights, Mishal Husain contributes to violations against women's Human Rights. 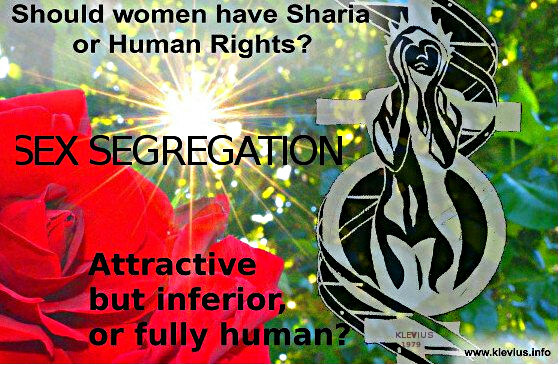 Those very Human Rights that guarantee women equality with men, are denied by Mishal Husain's own religion via Saudi based and steered OIC's worldwide sharia declaration in UN. Drawing (1979) and photo by Peter Klevius. Klevius: There's no British empire anymore - so why pretend when it just hurts you and covers your beautiful side? Get rid of the racist/sexist dark forces within your team for a much better performance. Finland was much earlier than "the British" not only in being first in the world to give women full suffrage, but has since constantly been a much more progressive and developed* country than the "country" called England (England, as you know, belongs to UK). Klevius apologizes for his tone but wants to defend himself by referring to the pompostrous belittling "Brits" show against other countries/people. Klevius thinks the "Brits" could greatly benefit themselves by lowering their tail. Klevius at his countryside house 1993 (with internet, computers with flight simulators and 3D games, mobile phones - NMT, ie Nordic Mobile Telephone - etc.) in with his already old communication tools - at a time when average people in England lived in a communication stone age compared to the Nordic countries (no wonder Linux was invented by a Finland-Swede and not a "Brit"). And Klevius wasn't rich - that's why he used old stuff. Btw, this was the same year Klevius published The Social State and its Daughters. 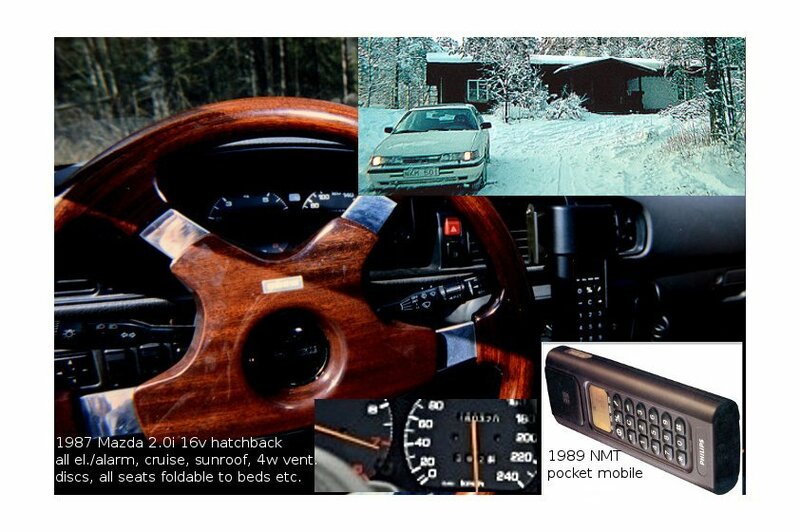 Klevius already used the same car when filming in DDR and dealing with Human Rights issues in Strasbourg. The Japanese car had no problem pacing way over 200 km/h for almost a whole day in both West Germany as well as on DDR's Autobahns from the Nazi era. Only trouble being all the smelling Trabants with a top speed of at most 70 km/h. Not even The Grand Tour guys can repeat the feeling of such passing of kilometer long cues of small smelly noisy plastic cars in the right lane in their own inflicted cloud of poisonous oil smoke - usually with a smoking guy at the wheel. Luckily most of them passed each other within their own lane. 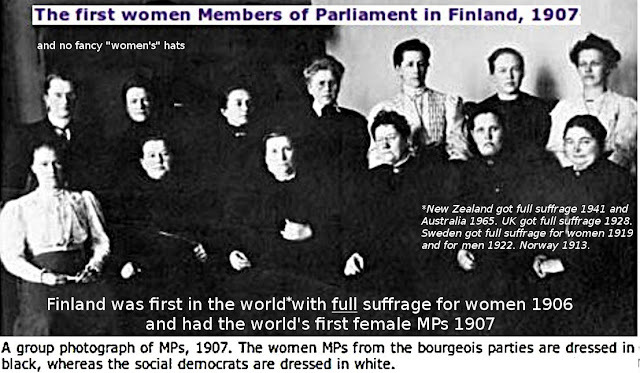 Already 1907 19 women were elected MPs in Finland. Some of them on this picture from the same year. In Finland in 1906 both women and men were given the right to vote and stand for election. Finland was first in the world to allow women as parliamentary candidates, and the first to adopt universal suffrage. 1907 19 women were elected as members of the Finnish parliament of a total of 200 representatives. Norway granted voting rights to women in 1913 but it took a long time before they came even close to Finland in numbers of female representatives. And do note the difference between female representatives voted in under discriminatory laws (i.e. only certain upper class women) not in line with full suffrage. Women were not eligible to be appointed to the New Zealand Legislative Council (the Upper House of Parliament) until 1941. The first two women (Mary Dreaver and Mary Anderson) were appointed in 1946. In 1965, Queensland in Australia became the last state to remove restrictions on Indigenous voting in state elections, and as a consequence all Indigenous Australians in all states and territories had equal voting rights at all levels of government. England (under UK*) got full sufftage 1928. * England is dependent on UK, i.e. not fully a country on its own and much less so than EU member states who can't meddle inside their respective parliaments. 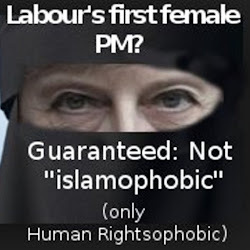 Are the English about to be lured onto a racist/sexist Saudi sharia path away from democracy and Human Rights? This heroic woman from Yemen gets little attention from far right Brexiter extremists and BBC. BBC is far more interested in muslim Uyghurs and muslim Rohingyas than muslim Yemenis. 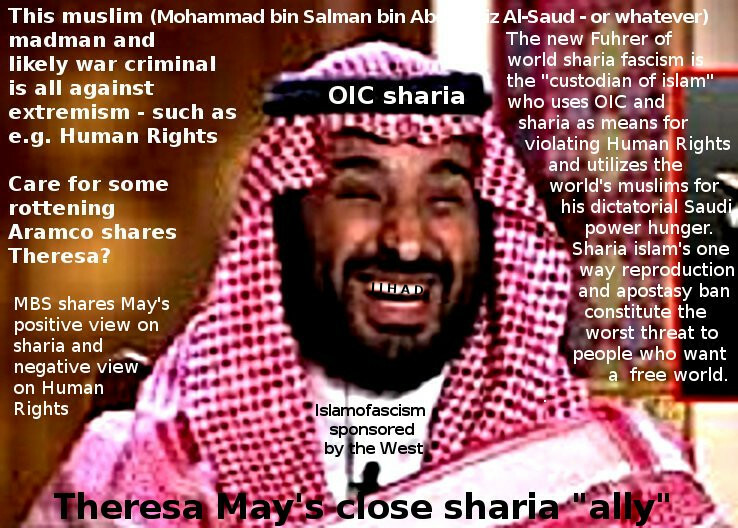 If you check BBC News "reporting" you will easily see that it's all about what is best for the islamofascist Saudi dictator family. Is China unwittingly becoming the world's main defense for Human Rights? Who could have guessed? Not BBC, that's for sure. China has vowed to crack down on the "three evils" of terrorism, separatism, and religious extremism. I.e. same agenda as Theresa May - except that May also includes "far right extremism". 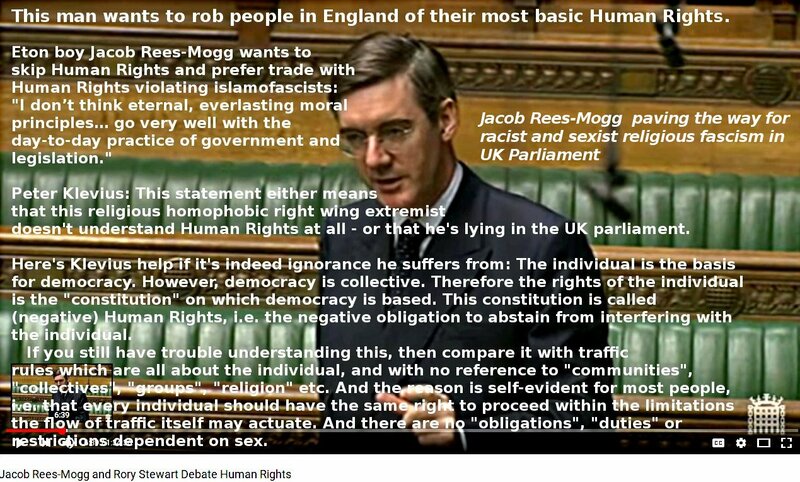 And Jacob Rees-Mogg ticks all the boxes. Yes, there are racists in all populations, and yes, they aer easily turned on by playing the race card. But does it belong to civilized democracy? Klevius doesn't think so. No civilized country would even dream about having a "referendum" on something unknown to be decided once and for all by two percent of a part of that country. Klevius has always wondered how Germany could slip to fascism. 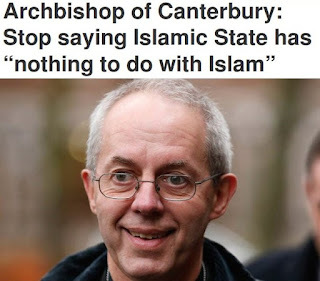 However, the example of England today siding with the world's most intolerant "country" and its sharia islamofascism, seems to give a clue. 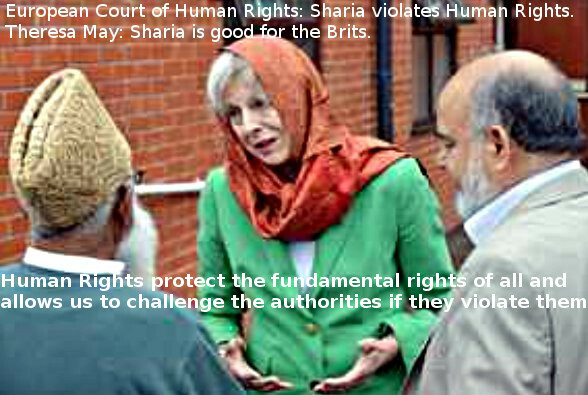 UK (aka the so called "British") is an unconstitutional undemocratical mess now utilized by dark religious Human Rightsphobic forces moving towards fullblown fascism. No one knows what UK really means. And no wonder when there's no foundation. 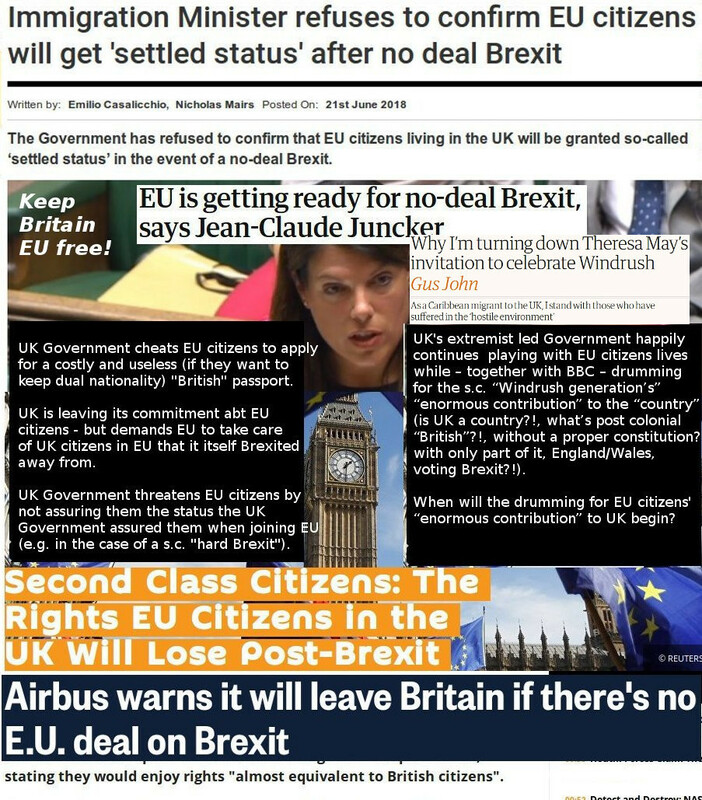 EU rescued UK but what about the future? The "Brits" (i.e. 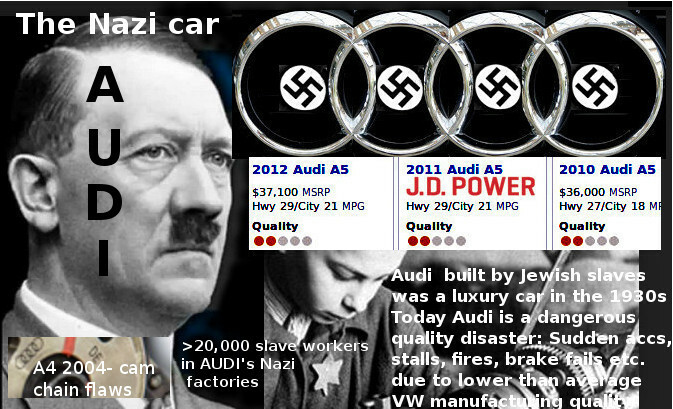 the racist nationalists without a proper nation* of themselves) say they will lead the world - but towards what - and how? Without functioning brains in the lead and without a moral foundation. 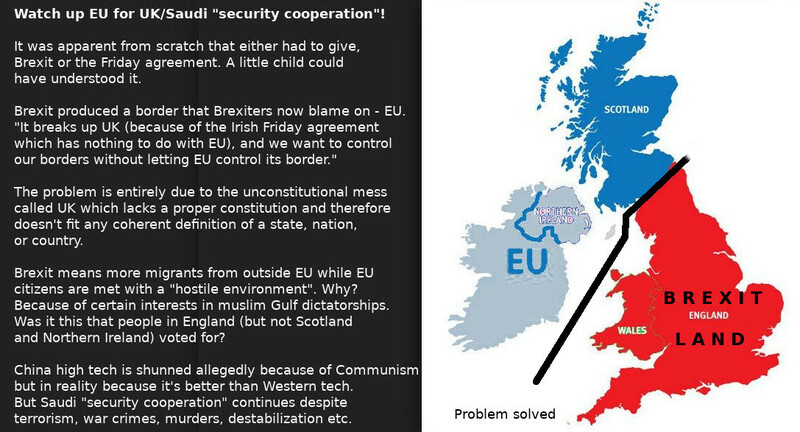 * England and Scotland are both hampered by each other as nations - only that the former has more say over the latter. And they aren't states either. The Treaty of Union was the agreement Scotland accepted 1707 under the threat of going bankruptcy that led to the creation of the strange and diffuse creature called United Kingdom. It wasn't a masterpiece of jurisprudence back then, and is now far beyond any acceptable modern frameworks of democracy. Klevius guess is that, apart from pure financial gains, what still keeps it alice is an equally outdated feeling of colonial nationalism under the more pompous name "British" - which actually goes back long before the British empire, meanaing Bretagne of France, i.e. The Isles of Bretagne. No wonder Macron smiled. 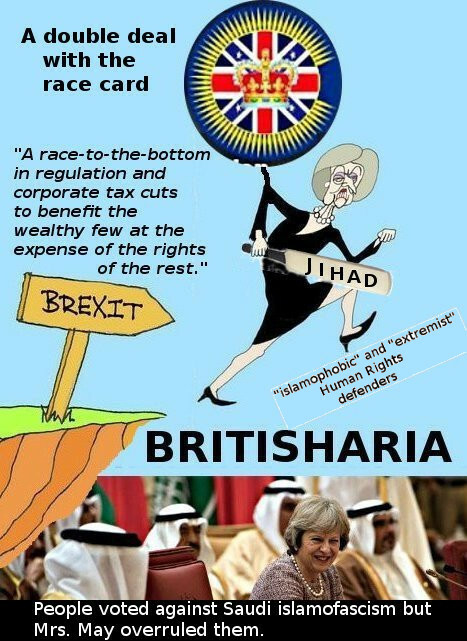 BBC's eager boosting of nostalgic nationalist "British pride" (while simultaneously wholehartedly paving the way for sharia fascism) the fighters against fascism seem themselves to mutate to what they use to fight against. How else could we possibly interpret the strange fact that a pathetic clown from the 18th century is seen as a possible Tory leader/PM? 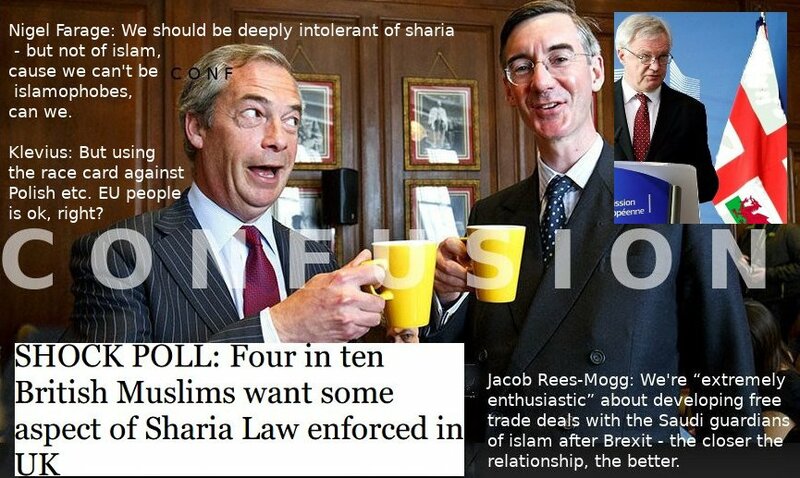 Jacob Rees-Mogg is just the top of a far right extremist wing in the Tory party which leans towards sharia finance and therefore Saudi Arabia. Klevius hint for analyzing the main tumor and its metastases. 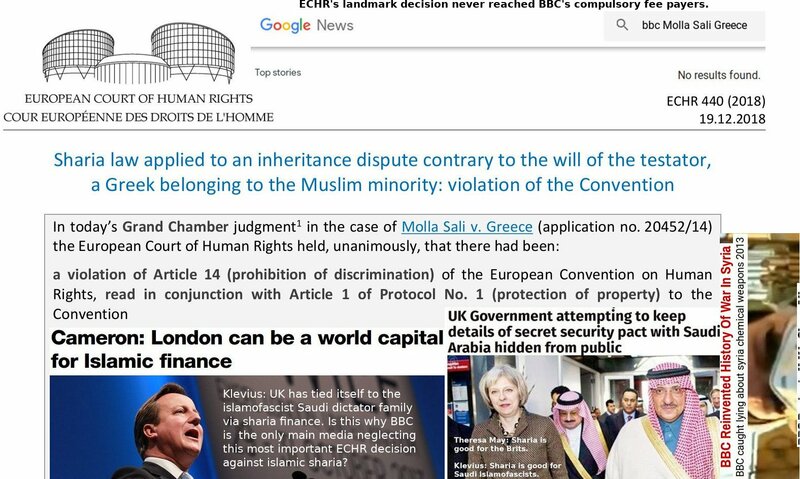 Just check who stay in the way for the spread of Saudi influence in Mideast (Russia), or alternatively, who might compete in dealing with Arab states (China), and the result is a copy of BBC's extremely biased and cherry picked "news" agenda. Keeping the world's muslims hostage via sharia finance and a piece of a meteorite, and US hostage via threat against petro dollar. 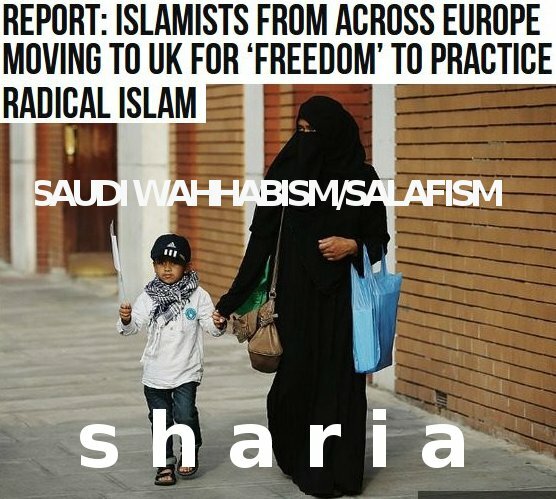 And England, who created this monster, sacrifices not only basic Human Rights (which are illegal in Saudi Arabia) but also any other moral aspect on the fact that Saudi spread sharia islamic hate mongering against "infidels", is continuously attacking people in UK. 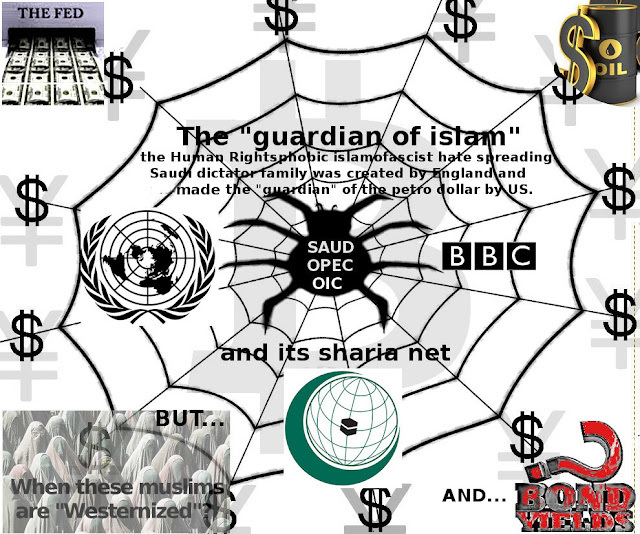 Klevius advise pic for curing your ignorance about islam and Saudi Arabia. Learn it by heart! 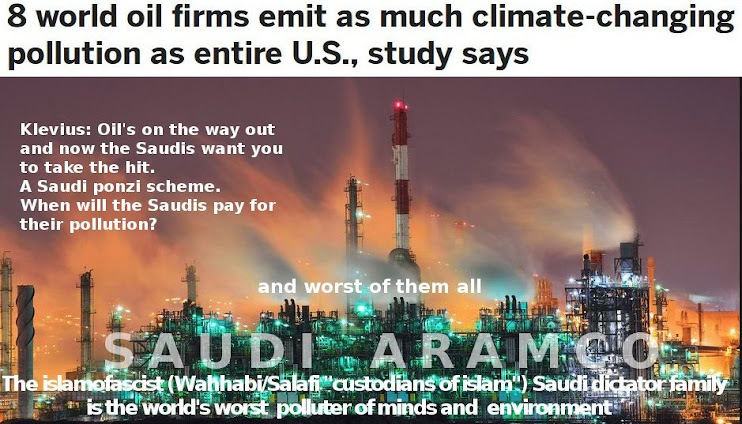 Klevius World Factbook: How did Saudi Arabia become the world's most evil moral cancer? 1. 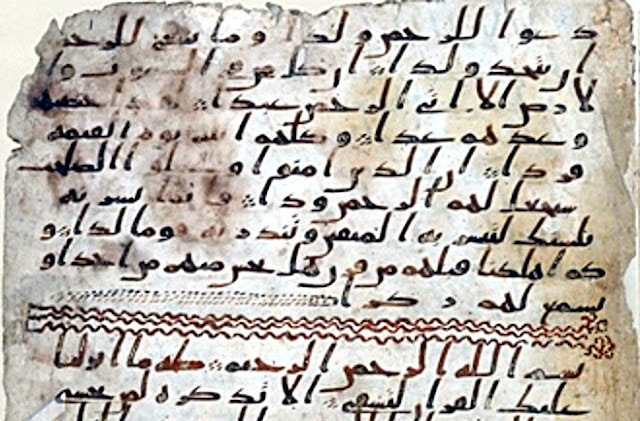 The racist/sexist origin if islam was an Arab bandit gang raiding, enslaving and taxing oasises along old slave routes, and kept together by a "religion" that was based on Jewish/Christian texts and which was then tailored to "justify" Arabic language imperialism and the declaring of non-Arab speakers (Allahu's messenger Gabriel allegedly spoke in Arabic to an other "messenger" called Mohammad who couldn't read or write but produced scores of daughters and not a single son) as "infidels" who could be slaughtered, enslaved, raped, taxed, humiliated etc..
2. 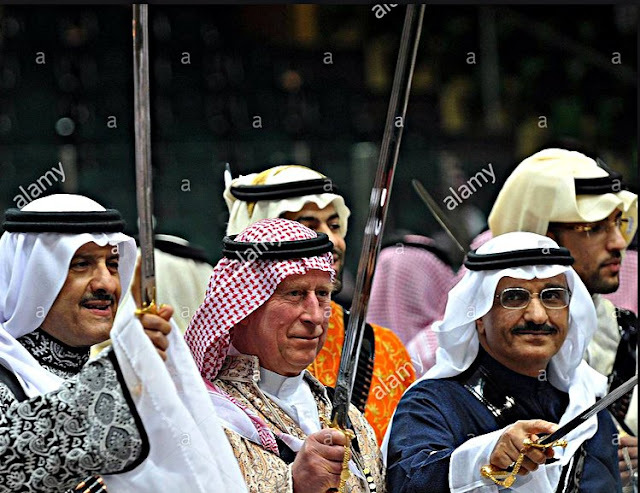 UK meddling in Mideast and making of a local warlord ally a "king" and "custodian of islam's holy places". 3. 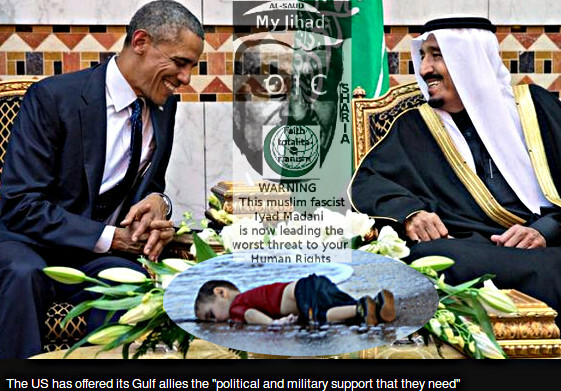 US oil exploration bringing huge wealth to the Saudi war lord family. 4. The 1974 petro dollar treaty between US and Saudi Arabia. 5. 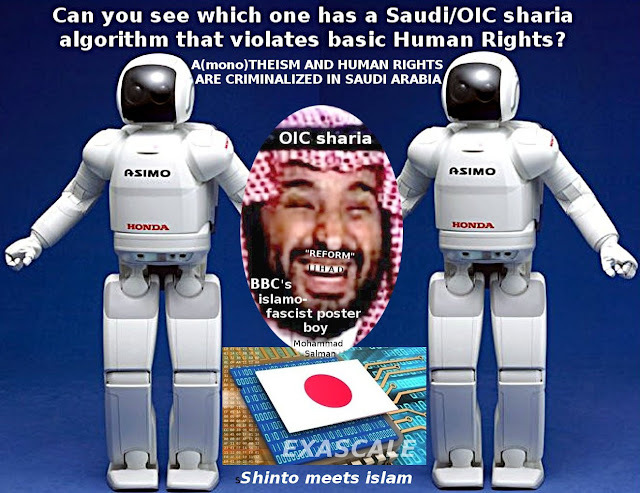 The 1990 creation of the Cairo declaration (aka sharia) and bringing it into UN via a muslim voting block led by Saudi steered and based OIC. 6. US fear of loosing the petro dollar. 7. Brexit. 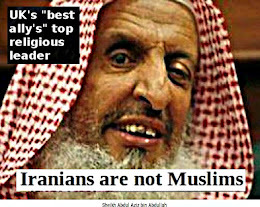 By demolishing the real threat of original islamic teachings in a similar way as the islamofascist Human Rightsphobic Saudi dictator family demolished any possible remains from early islam (except a small black pre-islamic meteorite stone now glued together with other pieces and kept at a huge Saudi built black building as a muslim idol), a path to reform (i.e. 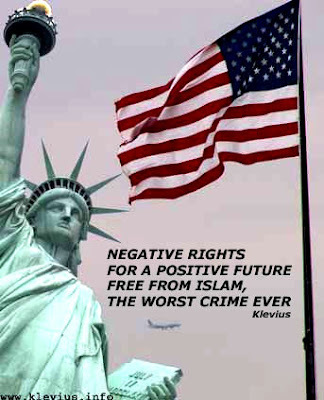 ending) original evil islam - i.e. so called "Westernized non-extremist islam". 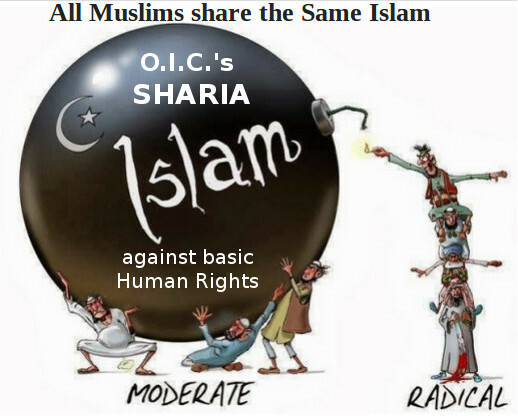 However, in doing so the sharia part of islam has inevitably to be replaced with those very basic Human Rights it opposes (compare OIC) and which are now considered terrorist crimes in Saudi Arabia and other muslim nations. Btw, Iran isn't an Arabic country and islam is just a thin frail theocratic filter on the Iranians. In fact one could say that upholding/supporting an all encompassing "religion" that at its core has Arabic language imperialism, is treason. 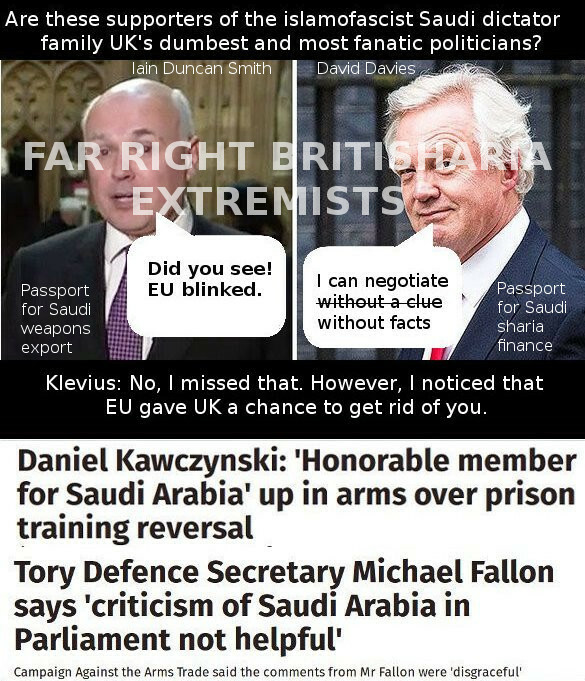 England is fast going down the moral sewer cheered by Jacob Rees-Mogg and his racist nationalist (without a proper nation) far right Brexiter extremists. And playing the race card against EU citizens has proven successful among racists in England. BBC: "...non UK people who live here...". This quote from BBC News really illustrates it. They of course knew that "UK people" included the strange and imprecise "Brits" but not EU citizens living in England. 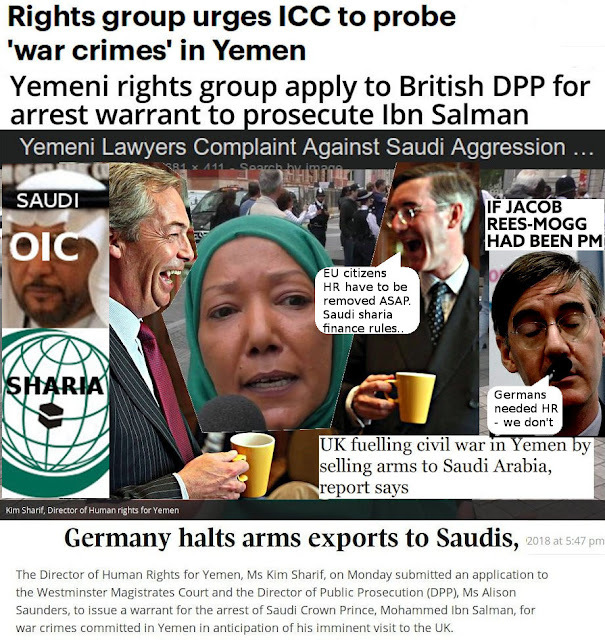 BBC also doesn't miss a single opportunity to fake a story that fits Saudi sharia islamofascism, the worlds leading Human Rights violator. But BBC has no problem complaining over "lack of Human Rights" for Uyghur muslim jihadi. However, the very fact that China isn't a monotheist theocracy, and that China so successfully has managed by peaceful manufacturing and trading to not only empower its own population but also more poor people around the world than any other nation has done so far, means that China also unwittingly protects vasic Human Rights around the world than most other countries - and certainly more than the spreaders of islamic anti Human Rights hate. 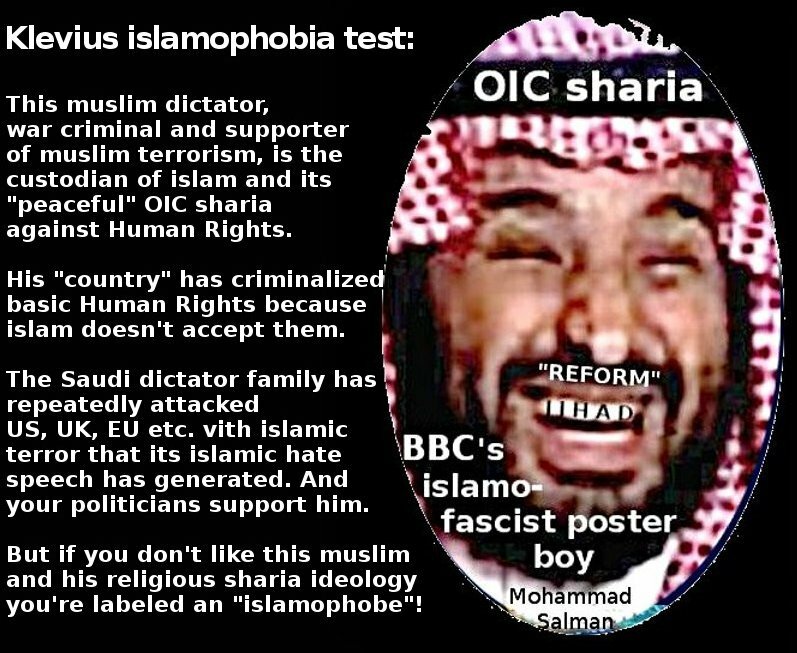 BBC using muslims in general to boost Saudi sharia islamofascists in particular - and often by referring to muslim's Human Rights, i.e. to those very right which are criminalized in Saudi Arabia. When a derailed and mentally disturbed alcoholic who initially had planned to drive over Jeremy Corbyn, runs his van over a muslim already lying ill on the ground and allegedly dying from the injuries rather than his initial health problem, two other muslims jumped or where pushed aside by the van. However, BBC reported day after day in long sequences (do note that the opposite is true if it had neen a muslim attacker) it as "far right extremist terrorist drove over a crowd of war-shipping muslims leaving one dead and twelve injured". How come? 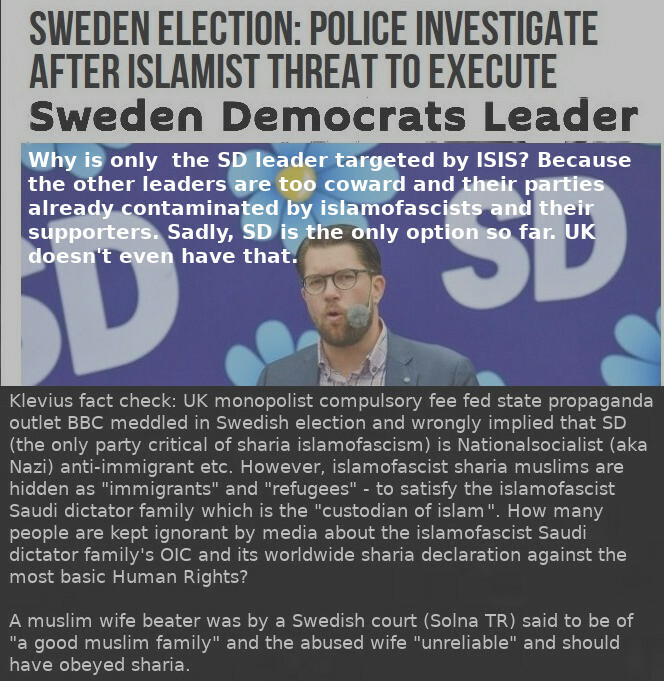 Well, nine of them were injured while they attacked the driver and tried to kill him until an imam from a nearby mosque stopped them. And BBC also forgot to mention that it's a crime to try to kill someone who is already restrained. These muslims, most of who got very minor injuries in the attempted lynching of the mentally ill driver, will now be awarded similar compensation as the victims of the muslim terrorist attacks, instead of facing a court. England voted Brexit - UK did not. Of course the slim Brexit vote of 2016 needs a follow up vote - by the parliament or the people. Only England voted to leave EU. And did so with the smallest of margin. Scotland and Northern Ireland voted to stay with a much higher margin. 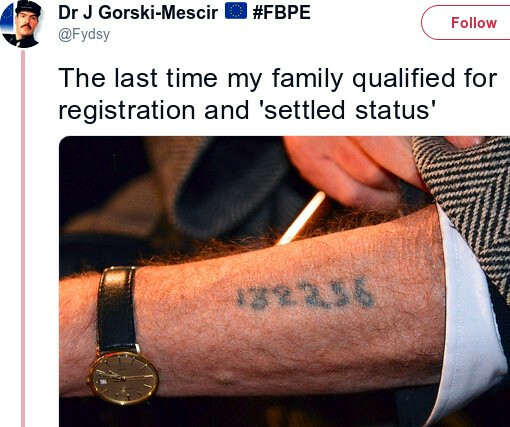 And EU citizens living in the UK weren't even alloved to vote about their own legally settled EU country of choice. A choice made under UK law. However, non UK citizens from other parts of the world were alloved to vote. Also, the very foundation for the Brexit vote was completely lacking. Klevius has never heard about a civilized European country that has voted completely in the dark on a groundbreaking matter, i.e. with no substance whatsoever. When UK voted to become a member state of EU in the 1990s they had the Maastricht treaty at hands and were already members of EEC since the 1970s. A yes/no vote in the dark about the most important question would normally at least demand a 2/3 majority according to most civilized constitutions. However UK lacks a constitution. And therefore UK's hastily and poorly effectuated Brexit vote comes nowhere close a civilized democratic process.